Incorporating seafood into your diet is a great health-conscious choice you can make, yet when it comes to fish, people tend to shy away from making it at home, saving it for a special night out at a restaurant. Maybe this is fair for lobster and octopus, but in reality, whole or filleted fish is an absolute breeze to prepare, and unlike a lot of protein, takes very little time to prepare. In fact, when cooking with fish, you can get home from work and have a mouthwatering, wholesome dinner on the table in well under 30 minutes. 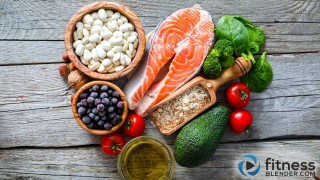 To begin with, oily fish like salmon, fresh tuna, mackerel and sardines are packed with omega-3 fatty acids, specifically EPA and DHA, which we need but cannot produce ourselves, and thus must get them through diet. There is good reason why health professionals sing the praises of omega-3 fatty acids obtained through fish. Research has shown they aid in brain function and may reduce risk factors of heart disease (high cholesterol and blood pressure), certain cancers and chronic diseases including depression, Alzheimer’s, diabetes, multiple sclerosis and arthritis, to name only a few. These fatty acids also help keep your skin, hair and nails shiny. Beyond the extensive health benefits that come from salmon’s Omega-3s, the fish is also a good source of vitamin D, which helps protect against macular degeneration, as well as Vitamin B12, potassium and selenium. As a high-quality protein with plenty of nutrients, you should aim to get this all-star ingredient (or other oily fish) into your diet 2-3 times a week. One thing to note – is it important to seek out wild salmon, ideally from Alaska, not only for sustainability reasons, but also to avoid too much mercury. 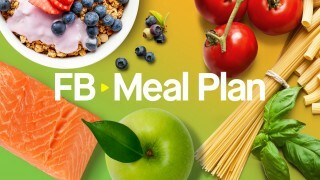 Wild salmon also tends to be lower in fat and higher in nutrients. Wild salmon can be found at your local fishmonger or in health stores like Whole Foods. This simple recipe is a great way to enjoy the many benefits of salmon with little effort in the kitchen. 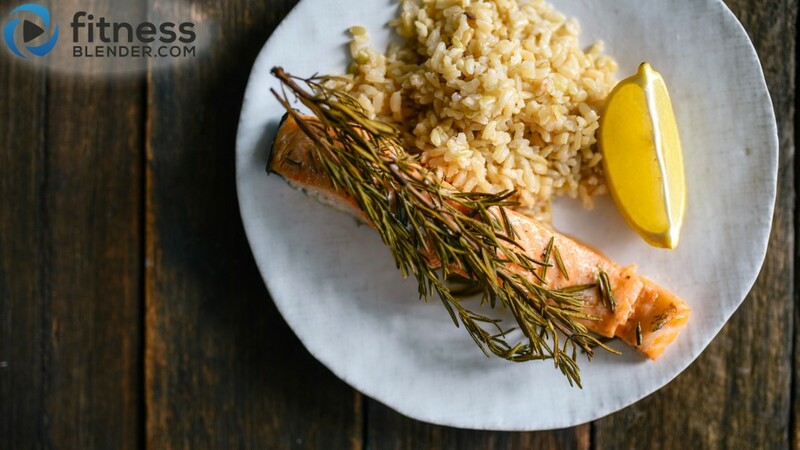 By roasting the salmon fillets with whole rosemary rather than chopped, the fish takes on a subtle aroma of the fragrant herb without being overpowered – plus, it’s less work for you! For a light and satisfying meal, give the salmon a generous squeeze of fresh lemon juice and serve it alongside a whole grain like brown. To get some fresh greens in, add a side of steamed broccoli or a simple salad. With clean hands, rub salmon all over with olive oil. Transfer to a parchment or foil-lined baking dish, skin side down. With your hands, rub some of the residual oil into the rosemary leaves (this will prevent them from burning). Place rosemary on top of salmon and transfer to oven. Roast until salmon is just cooked through 15-20 minutes. Season with salt, pepper and a squeeze of lemon juice. Serve immediately.